We travel and eat out a lot. It's important that children feel a part of the process and aren't continuously distracted or placated throughout travel, or in waiting rooms or at a sibling's sporting events. However I have three children and recognise there are times when a few distractions can help. Next month we are travelling to France with a group for my husband's work. I am filled with anxiety about how Otto will handle the journey and multiple events. While we will do our best to meet both his needs and my husband's work committments, I have put together some of our favourite screen free materials and toys for Otto that are suitable for travel and eating out. I wouldn't present all of these at once and will pick and choose what we use depending on our event and location. Paint with Water - Galt Water Magic, Melissa & Doug On the Go Water Wow! I add the water just before we use them, both of these from Galt and Melissa and Doug are really easy for toddlers to use. Kid O Free Play Magnatab - Etch a Sketch might be useful for a slightly older child. I haven't tried this with Otto yet but his brothers love it. Usborne First Sticker Book - this has a lot of stickers but for a toddler they will need some help, this is a good one to use when an adult or older sibling can sit and play with them. Galt First Sticker Pictures - these don't have life like (realistic) images but I still like them as they are not sticky stickers, they are vinyl which attach to the picture cards provided, so they won't stick to car seats or tables, they are completely reusable and the stickers don't have a backing/edging, so they are super easy for a toddler to peel off. If you have a toddler who likes to pick and peel stickers, this would be perfect. Little toys in zipper bags - I pick and choose these carefully, if Otto starts throwing them I put them away immediately, the little cars can roll off tables and small animals can get lost. 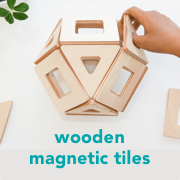 Handful of magnetic tiles or Earthtiles - these are good as they don't roll, perhaps 9-12 are enough for a toddler to play with. These little clear zipper bags/pencil cases are perfect as we can see what is in them and Otto can easily open and close them himself. These are the Galt First Sticker Pictures. They are super easy for the toddler to peel and they are reusable. It's also easy just to take one sheet of stickers and one cardboard picture. They are not really expensive so if they are accidently left behind there is no need to worry. Small snacks and water are always appreciated by a tired, hungry or restless toddler. We try to take our toddler size cutlery with us. Otto often insists on using cultery when eating out (just like everyone else) and it's much easier if he can use his own. 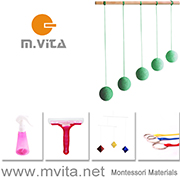 Above is the Galt Water Magic Set, it's easy for the toddler to use and is also reusable, the water dries and it can be used again. No risk of staining or marking surfaces. I'd love to hear what toys or materials you would recommend!